Low Noise 59dB(A) YAMAHA engine. Low Noise, Compact & Lightweight Suitcase Generator. Genuine Yamaha MZ80 engine for performance and reliability. 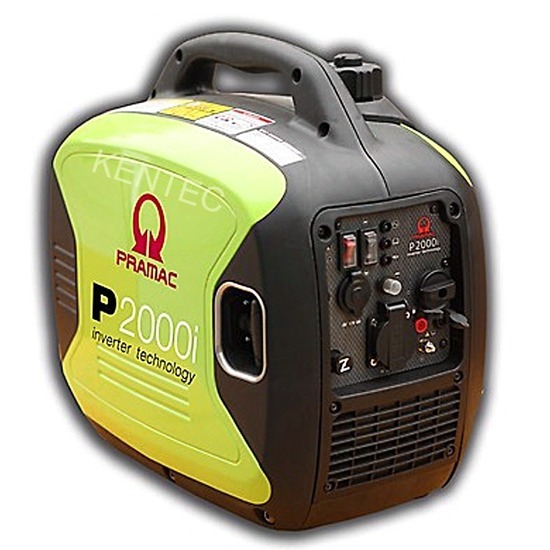 The right power for sensitive equipment and ideally suited for camping, caravaning, motorhomes and hobby use. LTP - Limited Time running Power: It is defined as the maximum power available, under the agreed operating conditions, for which the generating set is capable of delivering for up to 500h of operation per year (whose no more than 300 for continuative use) with the maintenance intervals and procedures being carried out as prescribed by the manufacturers. No overload capability is available.